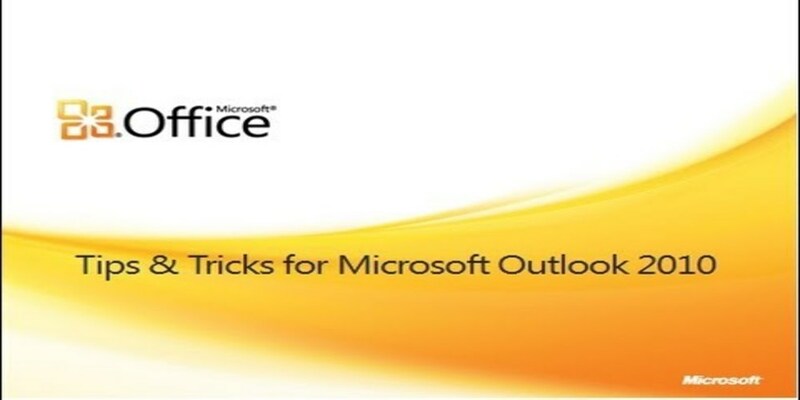 Here is a list of three Microsoft Office 2010 Outlook tips and tricks that can definitely help increase your productivity. Most employees are encouraged to check e-mails second or third thing in the morning. The load of emails both within the company circle and from the clients tends to choke vigor out of employees. It creates a distraction, too. With MS Outlook, you can sort emails, filter them, and organise them, saving you from the chaos of emails draining the life out of you. Flag emails real quick. Just press the insert key to switch between flagged emails or to mark items that you’ve already processed. When you are not the direct recipient of an email, you can set up a folder for all those emails. This way, you can have an inbox of emails that are directed at you and read the others at some later time. You can also customise which emails get alerts. You can set VIP categories for those emails you need to immediately respond to. Another life-saving time saver tip is to use your clip board. Copy any text that you want to send as a message or a note in Microsoft Office Outlook. Once you are in the MS Office Outlook, press Ctrl + V. MS Outlook will then automatically create a new message or a note, depending on the pane you are in, with the text already pasted. For contents that you regularly send, you can simply save a template and edit them to specifications. Items such as invoice, reminders and anything similar can take much of your time if you have to type them over and over again. Save a file as an Outlook template and access it whenever there is a need. It’s never too late! Visit www.downloadmsoffice.com and grab your copy of Microsoft Outlook today!